Offer valid only on dishes with the AmazonPay Sticker, Offer is valid only if customer places order through AmazonPay.Once per user during the offer period. This means if the customer places multiple orders for the offer dishes during the offer period, max Rs 100 cashback will be credited. Meaty till the very last bite, dig into this Italian delicacy which comes with spaghetti pasta tossed with a flavoursome tomato-based bolognese sauce to which minced chicken is added. Finished with the goodness of grated Parmesan, it is accompanied with garlic bread. This cute bowl of salad is a delight! Cute, we say because of the adorable chickpeas that go into the salad! Chickpeas or channa (as we call it) was at one point used as a substitute for coffee by the Germans! But we think they taste so much better in a salad! Soft boiled channa and fresh broccoli florets are tossed with veggies, sun-dried tomatoes, orange segments and served with a creamy, spiced yogurt dressing. A salad that’s full of flavour and texture and is a complete delight to eat! Serves 1. Everybody’s favourite pasta, little elbow-shaped sensations, macaroni is quite the versatile eat. Back in the day, the Greeks served pasta shaped like macaroni as funeral food. Modern-day Southeast Asians who’ve imbibed western culinary-culture, slurp up a broth of macaroni, ham, eggs and mushrooms for breakfast! But sometimes, old is gold, and our Old-Fashioned Macaroni Salad is proof. Macaroni, diced roasted paneer and seasonal veggies tossed in a cheesy parmesan-mayo dressing… is a humble tribute to the bygone. Here’s one to the good ol’ times! Serves 1. Much loved throughout the world, this classic salad is an excellent source of protein. Packed with lettuce, bell peppers and zucchini, the Tex-Mex chicken steak is the hero of the dish and is tossed in a creamy Caesar dressing, finished with Parmesan. Serves 1. In the US, the crust of the pizza marks the place of its origin – ultra-thin would mean Chicago, a step up would be from the coal-ovens of New Haven and the blistered, thick cheese-blanketed pizza good enough to fold comes straight out of New York. An unhappy economy in Chicago post World War II also saw the birth of the deep-dish pizza or deep-dish pie! Taiwanese cuisine is best described as Asian-fusion with influences primarily from the Chinese and Japanese immigrants who occupied Taiwan, a hundred miles from the Chinese coast. Besides the staple – rice and seafood – fruits are used bountifully! Inspired by the bustling markets in its capital Taipei, we toss up a daring, delish dish! A simple, veggie fried rice provides a great contrast to the spicy Taipei sauce into which diced, crispy batter-fried chicken is tossed. Serves 1. Ironically, Mexico consumes fewer burritos each year than what the consensus is assumed to be. In the south of Mexico, burritos exist solely for tourists. Burrito literally means ‘little donkey’. Back in the day, meat-stuffed tortillas were sold off the backs of donkeys. We deconstruct the famed burrito and serve a vegetarian take, in a bowl! Diced paneer, peppers, jalapeño and olives are tossed in a spicy enchilada sauce and served with a spicy Mexican veggie rice, sautéed veggies and crunchy roasted corn salsa. A dollop of sour cream rounds off this delicious California Burrito Bowl! Serves 1. A classic Indo-Chinese dish of stir-fried noodles wok-tossed with pulled chicken, egg, bok choy, Chinese cabbage, carrot and bell peppers. This makes for one satisfying meal full of goodness from veggies and chicken. Serves 1. Hurry Up!!! We would never challenge your mother to a cook-off, but we promise that you will no longer miss homemade Rajma-Chawal. Specially chosen Kashmiri Rajma simmered in a tomato-based gravy flavoured with dry-roasted and ground whole-spices makes just one part of the experience. We accompany this would-be addiction of yours with fluffy basmati rice seasoned with ghee, cumin seeds and chillies, and, just so that you love us even more, two deep-fried paneer cutlets! Serves 1. Each ethnic group in each of the 17,000 islands in Indonesia has a sambal to brag about. In its simplest form, chillies and salt are pounded in a mortar and pestle for a chunky paste dotted with seeds which is then used as dips, spreads or marinades. 17,000 islands are a few too many to visit during a meal break – so, let us bring our version of the famed, spicy sambal-curry to you. Crispy, yet, moist assorted-veggie dumplings served on a bed of peppered rice complete this delicious meal. Serves 1. Hurry Up!! Good news from Freshmenu ! Podis or chutney podis (lovingly known as gunpowder) packed tightly in jars, tucked away in shelves (not too far away and not for long) are essential to most South Indian homes. The aromas of freshly ground gun-powder emanating from the kitchen warms up anyone’s appetite. Our chefs raise the appetizer bar with the signature Gunpowder Chicken. Hurry Up!! FreshMenu Great Offer, Because of its affordability, Dandan Noodles was/is often known as Peddler’s Noodles. Sichuan street-food vendors carried two baskets on either ends of a pole – noodles in one of the baskets and sauce in the other. Dandan when literally translated means ‘noodles carried on a pole’. Shout out ‘Dandan’ and we’ll be there with a whole bowl of bold Sichuan flavours! Minced chicken cooked in a piquant broth of chicken stock, Shaoxing wine, Hoisin sauce and Sichuan peppercorns is served with noodles and sir-fried with veggies – street-food, Sichuan style! Serves 1. Hurry Up!!! If you’ve suddenly found yourself craving pan-Asian delicacies, we’ve got just the combo that will kung-fu your hunger pangs to rest. A sweet and hot start to your meal with our Honey-Chilli Potato Wedges lays the playground for a spicy rice-noodle main-course affair – Hakka Noodles, Schezwan Fried Rice and Kung Pao Vegetables. Serves 2-3. The concept of basting wings with sauce was first thought of by Teressa Bellissimo who lived in Buffalo, New York. Once the secret was out, from snack counters at football stadiums and bars to major food joints, everyone wanted to be a part of the chicken-wing gold rush! Marinated with oodles of freshly made and lip-smacking barbeque sauce, the chicken-wings are grilled to a crackling crisp. Served with black-pepper fried-rice and roasted seasonal veggies, our Buffalo Wings BBQ Bowl is a feast waiting on you! Serves 1. The lingering citrusy flavours and the explosive fragrance of kaffir lime are essential to Thai cuisine, and when paired with galangal, lemongrass, Thai basil and Thai chilli, the result is stunningly desirable. Assorted seasonal veggies, crunchy and munchy, tossed in a kaffir-lime sauce is a refreshing, tangy treat. Indulge away! Serves 2. Did you know that up to 82 grape varieties (both red and white) are used in the production of port wine? A good ol’ dash of port wine while cooking can heighten the flavours of the dish in question, like in our Lamb Meatballs in Port-Wine Jus! Succulent meatballs of lamb meat, seared and baked in an oven, soaked in an audacious port-wine jus, tossed and simmered. Roasted, assorted veggies and British-roast-spiced rice work just fine with this delish meatball preparation. Serves 1. This burrito bowl is not only a celebration of Mexican flavours, but also of flavours from around the world. Check this out! Paneer tossed in a fiery peri-peri sauce and curried veggie-bean stew is served on a bed of roasted-garlic tomato-basil rice and topped with sweet and sour salsa and gyro garlic sour-cream. Get ready for an explosion of flavours and textures that will enliven your palate! Serves 1. When you think Chettinad, you think biriyani. But we bet the Chettiyars did not invent Chettinad masala just to put together biriyani. This spicy, piquant masala is versatile enough to turn any meat into wonder-meat. Our chefs put this age-old masala to good use in our Masala Pepper Chicken. Diced, deboned chicken-leg teeming in a tomato-infused fiery Chettinad gravy, garnished with freshly grated coconut – you’d give it five ‘star’ters. Serves 2. These crispy cousins of the now-famous chicken popcorn are, and believe us when we say this, quite addictive. Succulent chunks of deboned chicken rested-well in a spicy chilli-soy marinade are crumb fried until golden, garnished with sesame seeds for that extra nutty-crunch and served with a divine hot and sweet chilli-plum sauce. Serves 2. Though the term ‘hoisin’ refers to seafood in Cantonese and Mandarin, the sauce, surprisingly, contains none. Dark in colour, rich in flavour and bathed in salt, hoisin, like barbeque sauce, is often used to bulk up the flavours of any delicacy from the Orient. Chicken and assorted veggies stir-fried and simmered in the stellar hoisin-flavoured sauce is served with the good ol’ chow – this is a sweet and spicy East-Asian delight that you do not want to miss! Serves 1. One among the 'Four Great Traditions' of Chinese cuisine, Shandong cuisine is known for its freshness and aroma! Here's a fiery appetizer that exemplifies the distinct flavours: roasted chicken-wings and bell peppers are tossed in a hot Shandong-styled sauce! Though the term ‘hoisin’ refers to seafood in Cantonese and Mandarin, the sauce, surprisingly, contains none. Dark in colour, rich in flavour and bathed in salt, hoisin, like barbeque sauce, is often used to bulk up the flavours of any delicacy from the Orient. Chicken and assorted veggies stir-fried and simmered in the stellar hoisin-flavoured sauce is served on a bed of humble fried rice – this is a sweet and spicy East-Asian delight that you do not want to miss! Serves 1. Both vegetarians and meat-eaters would vouch for this staple from the North of India. Paneer, the versatile culinary being that it is, quite easily soaks in the flavours of its marinade to create magic. Our Achari Paneer Tikka is one for keeps. Paneer and bell pepper are marinated not once but twice in a glorious mix of pickle condiments, yogurt, fenugreek, mustard oil, oven-grilled and basted with sinful oodles of butter. Serves 2. Loved by all, this dish is a favourite on the Hall of Fame. From the bustling markets of Mexico, originates a street favourite full of sweet, tangy and spicy flavours. This bowl comes with soft Mexican rice, roasted sweet corn, tangy Mexican tomato salsa, fresh broccoli, habanero grilled cottage cheese, and seasoned fried beans. Did you know that the tall white caps that the modern-day chef's don is credited to the Greek? The monastic brothers who prepared food in the monasteries donned tall white caps to distinguish their work from the rest of the brothers who donned large black hats. Both parties would be quite pleasantly piqued by our Greek Bowl! Basil-infused assorted-veggie ragù, feta veggie salad, peppered-herbed rice and the essential garlic labneh – a bowl of Greek wonder is what it is! Try? Serves 1. While two large fast-food chains claim to have invented the delicious hunger-pang busters, a couple in Vietnam may have had a larger stake in the claim. KFC-style chicken was quite popular in Vietnam in 1979, and the couple’s ingenuity prompted them to fry-up bite-sized chicken bits that their customers could easily pop into their mouths using chopsticks. Our Cheese Loaded Chicken Popcorn is a dreamy beginning to your meal – deboned and diced chicken coated with ghost-chilli flakes, fried till golden brown is served with a spicy salsa and finally loaded with a luscious cheese sauce! Serves 2. The French and the Italians are still in a tug-of-war when it comes to garlic bread. While the origin of the clever dish is fought over, the rest of the world seems to have adopted variations of the savoury snack and here's our version with tangy jalapenos, olives, chili peppers and oozy mozzarella cheese. Serves 2. Banish all your inhibitions about Japanese cuisine being uninteresting or boring. If it wasn’t for the Shoguns of the Tokugawa family, the fascinating cooking method that teriyaki is – which yields stunning dark, caramelized meat – would have been lost to time. Sliced, grilled chicken steak on a bed of veggie fried-rice is topped with a hot and sweet teriyaki sauce. Serves 1. Oriental spices are some of the best to work with as they lift the flavors of a simple dish to create an exotic dining experience. Chicken is marinated in an Oriental spice mix and grilled with black pepper sauce and honey. This delicious meal comes with rice. In case you thought BBQ was limited to the far-west, think again! Koreans have been serving up some smoky barbeques for almost forever now. There’s always a secret ingredient in the marinade to sweeten and tenderize the meat – pears, kiwis and even cola! But, hey, our take on the Korean barbeque is hotter than you think. Deboned chicken leg marinated with the fiery Gochujang spice and ginger is seared and grilled to its juicy best. Whether you are satiating your cravings or fuelling your crew, our great Punjabi vegetarian combo-meal is your delicious answer. Lip-smacking Achari Paneer Tikka served with mint chutney begin the course. Soft laccha parathas paired with Chole Masala and a spicy Masala Pulao with raita follow. Is your meal sorted or what! Serves 2 to 3. Devour the appealing and flavorsome egg kofta that comes with soft boiled eggs chopped and mixed with authentic Indian spices and delicately made into koftas. This is cooked in a rustic onion gravy and served with flavorsome ghee jeera rice. Pesto, derived from the Italian verb ‘pestare’ which means to crush or pound, was a peasant-food before making it to the tables of the elite; only the farmers knew how to make it and make it well, and it depended on the season and the ingredients in hand. Our Home-Style Paneer Pesto Sandwich isn’t just a quick brekkie idea but a delicious all-day snack as well! Serves 1. What’s so junglee about a junglee sandwich? The fact that it’s absolutely wild, of course! Add some craziness to your day with our Junglee Sandwich Breakfast Platter which comes with a veg junglee sandwich loaded with soft paneer, cabbage, carrots and indulgent cheese layered in delicious marble bread slices. Serves 1. Power-packed with a combination of crunchy mulberry, cashews, peanuts, cranberries, roasted sunflower seeds, pumpkin seeds and sultana raisins – go nuts on our nutty trail mix, the healthiest snack you could ask for! Serves 1. Chocolate and strawberries… a match made in heaven, isn’t it? The tartness of the strawberry marries perfectly well with the sweet, luscious chocolate creating an enviable culinary pair. We bring some nuts in for that essential crunch in your cake. Layers of dark-chocolate-, strawberry- and vanilla-sponge straight out of the oven are garnished with fruits and nuts while still warm and moist. Serves 1. Power-packed with a combination of crunchy cashews, peanuts, cranberries, roasted sunflower seeds, pumpkin seeds and sultana raisins – go nuts on our nutty trail mix, the healthiest snack you could ask for! Serves 1. Craving for a snack-meal packed with nutrition? We've got something just for you. Indulge in the goodness of yoghurt, freshly cut fruits and home-made crunchy muesli - all packed together to give you that energy kick, at any time of the day! Serves 1. Now get a huge saving on food order from Fresh menu website/mobile app. . Get delicious food at fresh menu on your order. No FreshMenu coupon code is required to avail this offer.· Valid only on Main Course Category products. Order now!! Now get a huge saving on food order from Fresh menu website/mobile app. Get delicious food at fresh menu on your order. No FreshMenu coupon code is required to avail this offer.· Valid only on Main Course Category products. Order now!! Now get a huge saving on food order from Fresh menu website/mobile app. Get one Free Cookie Tim Tam On Orders above Rs.350. Use above mentioned FreshMenu coupon code to avail this offer.· Valid only on Main Course Category products. Order now!! Freshmenu Offers you, Buy two 9' Pizzas at rs.400.Use the cited FrshhmenuPizza promo code at checkout to grab the discount.The offer exists for a very limited time. Grab instantly!! FreshMenu offers you, If they are crispy and fiery, they ought to be delicious! Golden-fried potato wedges, bell peppers and spring onions are tossed in a sweet yet fiery honey-sauce and topped with sesame seeds! Serves 2. Hurry Up!!! A special blend of Moroccan spice accentuates the sweetness of Basa when seared and grilled till just done. Simple, well-seasoned brown rice and roasted assorted-veggies complement the grilled Basa which is bathed in a hot and sweet barbeque sauce enriching the flavour-profile – a marvellous meal if you are a fan of river fish. Serves 1. Hurry Up!! Crunchy bell-peppers are stir fried with chicken in a Chinese chili-garlic sauce and added into some soft-cooked noodles. The crispiness from the chicken and the veggies complement deliciously with the tender noodles. Pretty much the perfect meal, we think! Served with a portion of chilli-garlic veggies. Serves 1. It is what the name suggests – a rather recent invention from Tamil Nadu, the Chicken 65, marries the piquant Peri Peri that’s native to Portuguese but synonymous with African or particularly South-African culinary traditions. Attributed to the ingenuity of the migrants who created the dish to appease their palates, Peri Peri Chicken 65 is a true-blue fusion wonder! Serves 2. Worcestershire sauce, sriracha, barbeque sauce and the star ingredient kasundi mustard combine gracefully and work their magic into the chicken that’s rested well before being grilled to its succulent best. Served with the trio of buttered, herb-rice, sweet, roasted assorted-veggies and a hot barbeque-sauce, this meal will take you to your happy place. Serves 1. About 80 odd years ago, a Hakka community in Calcutta sparked off a culinary revolution in India. They were quick to realize that the locals preferred hearty, oily preparations; they adapted and manipulated masalas and flavours familiar to them to create a winning combination – Indo-Chinese! And it’s true, there’s no chicken like ‘chilli chicken’. Crisp, crumb-fried chicken-wings tossed in a HOT sauce is just the all-time any-time appetizer you are always looking for! Serves 2. Hurry Up!!! There’s nothing as comforting as a bowl of personalized burrito when you’ve got them hunger pangs. Whether you prefer extra-spicy beans or succulent steaks topped with a tangy salsa, our take on your favourite portable meal has always had you clamouring back for more. Add one more to that list – moist dices of habanero-infused paneer are served on a bed of hot and tangy tomato-paprika millet pilaf, with a portion of sautéed broccoli and peppers, topped off with sour cream and tomato salsa. Serves 1. Hurry Up!!! The Nizams of Hyderabad took the best of Mughlai cuisine and Andhra cuisine to serve us a legacy – Hyderabadi Biryani! Parboiled rice is placed over succulent chunks of deboned chicken that are marinated overnight with yoghurt, mint leaves, browned onions and powdered spices and steamed till the rice is infused with delectable flavours and the meat falls of the bone, quite literally! Serves 1. Hurry Up!!! FreshMenu offers you, A delicious beverage to satisfy all your chocolate cravings. Once a much-celebrated drink among European nobility, it continues to be a favourite around the world. Perfect for any time of the day, we serve this yumminess in a jar, piping hot. Serves 1. Hurry Up!!! Order Now!!! FreshMenu offers you, A lot of debate revolves around the ‘discovery’ of bourbon, but one story has stood its ground for centuries. And the twist, the inventor of the Bourbon was a Baptist minister! An eggless vanilla flavoured pound cake batter is split into two parts, one containing cocoa and the other coffee. The two batters are layered and baked. The warm cake is then studded with crumbled bourbon cookies and sweet chocolate chips. A dessert so nice, you'll order it twice! (and then some more). Serves 1. Order Now !!! FreshMenu offers you, The first meal of the day needs to be healthy, hearty and filling just like our one-of-a-kind breakfast bowl. Chicken frankfurters, spicy masala omelette and crispy toasted bread are made bowl-ready with a large dollop of saucy baked beans. This is just what you need to give you the energy kickstart for a great day. Serves 1. Hurry Up!!!. Order now. We take a gift from global cuisine, the wrap, straight to the heart of Punjab for a pleasant transformation. Bite-size smoked paneer tikka and fresh juliennes of onion wrapped in a laccha paratha, smothered with a layer of spicy mint chutney that will leave you hungry for more! Serves 1. We've found the perfect way to integrate winter-veggies with this eggy delight – winter-veggies tossed with a classic pesto and tucked away in an uber-soft, cheesy omelette! Try this eggs-travagant all-day snack, full of veggie love, served with two slices of soft, buttery garlic bread. Serves 1. Exciting quick-eats begin with a pizza-like omelette! This classic omelette appeals to all your meaty cravings and promises to satiate them with a single bite. Served with two slices of garlic bread, here's an omelette that you will definitely dream about! Cheesy, meaty and eggylicious, just how quick-eats must be. Serves 1. The brekkie classic, the omelette, gets a mighty, meaty twist! This fluffy celebration of beaten eggs is stuffed with oodles of cheese, peppers and sliced ham. Served with garlic bread, this eggy-licious dish is your delicious protein dose for the day, good for an anytime quick meal. Serves 1. Bacon and eggs, the combination does not get classier. A regular on the American breakfast-menu since before the American independence – bacon and eggs are the West's favourite breakfast-couple. Imagine discovering bits of bacon in an omelette that’s lighter than air! Served with two slices of our garlic bread, this is an omelette that guarantees instant gratification, at any time of the day. Serves 1. Omelettes have hidden many a stuffing in their gentle folds, but nothing beats cheese. Served with two slices of fresh-from-the-oven garlic bread, our cheese omelette is what good memories are made of. You would agree… try it! Serves 1. India has since long, lovingly adopted this very French omelette. From train stations to gourmet Indian-restaurants – masala omelettes are always on stand-by, a result of interlacing the good ol’ omelette with a quintessential masala, making it even more irresistible. Served with two slices of garlic bread, we give you the fluffy, flavourful and fantastic masala omelette. Serves 1. The simplest, yet the most-loved version of the omelette, speculated to have been feeding hungry stomachs since pre-history, is served with two slices of our buttery garlic bread. Serves 1. The humble omelette is given a boost of Mexican flavours with jalapenos, crunchy peppers, baked beans and stuffed with cheese. Cutting into a cheesy, peppery, Mexican-style omelette that is served with two slices of our garlic bread, is a great excuse for a quick meal at any time during the day! Serves 1. When the Spanish conquistadors watched the natives of the Caribbean cook meat the way they did, exposing it to indirect heat for several hours, they uttered the first familiar word that occurred to them – barbacoa or barbeque! Now you know that slathering meat with market-bought barbeque sauce and throwing it on a grill isn’t necessarily ‘barbequing’. Who would've guessed that something as humble as flatbread with toppings would create a food storm around the world. The Italians – that’s who! We can either say 'thank you' or show them how grateful we are by gorging on this delicious Italian inspired pizza. Boneless chicken chunks infused with peri-peri seasoning, crunchy bell peppers and tangy olives are layered on a 12-inch wonder bread! Drizzled with tangy BBQ sauce, this pizza is bound to awaken your taste buds! Who would've guessed that something as humble as flatbread with toppings would create a food storm around the world. The Italians – that’s who! We can either say 'thank you' or show them how grateful we are by gorging on this delicious Italian inspired pizza. Boneless chicken chunks infused with peri-peri seasoning, crunchy bell peppers and tangy olives are layered on a 9-inch wonder bread! Drizzled with tangy BBQ sauce, this pizza is bound to awaken your taste buds! If paneer is #bae, then it deserves all your attention! Try our Peppy Paneer Pizza... you’ll probably want to marry it! Imagine... smoked dices of paneer, crunchy peppers, a hint of hot green chillies laid out on an ultra-cheesy-thin-crust pizza base, drizzled with mint chutney – should we call the priest? There are many reasons to indulge in this Italian innovation that's loved by almost everyone alike – but we give you the most important one: cheese! This cheesy trifecta comes loaded with mozzarella, cheddar and feta cheese and is topped with mushrooms, sautéed spinach, olives and diced sun-dried tomatoes. Cheesy, oozy and just plain delicious! If you like some heat in your cheesy pizza, then this flatbread with ghost chili will do the trick. Ghost chili/bhut jolokia or the original u-morok is native to Manipur in North-Eastern India and is one of the hottest peppers in the world! Cottage cheese, assorted peppers and zucchini serve as the topping on this pizza that's downright delicious. The magic of soups lies in the ability to drown out a weary day’s tiredness with one warm, soul-soothing sip. This creamy roasted onion soup with generous servings of chunks of chicken, chicken ham and leeks cooked in a savoury chicken stock is nothing short of soothing! Serves 1. These ancient grains have been a staple for people for centuries and have made an epic comeback in recent years. This crisp and fresh salad is a great way to introduce your taste-buds to millets. Boiled millets and crunchy sprouts are tossed with various fresh veggies, feta cheese and served with a citrusy vinaigrette dressing on the side. Taste freshness with every chomp! Serves 1. Corn, our juicy, crunchy and go-to snack (as we know today) is practically a human invention! Unless planted and cultivated, this South American staple does not grow naturally in the wild. Dressed with the basil-led green-goddess dressing, our Mexican Roasted Chicken Corn Salad is all about the extra crunch that will fly you straight to the seventh heaven. Serves 1. A salad that is staple in most Soviet households, was first known as Olivier, named after the Russian chef of Belgian descent Lucien Olivier who invented it in the 19th century. He fiercely guarded the original recipe until one of Lucien’s spurned sous-chefs let the recipe out. Wait… should we thank the sous chef? When fresh assorted vegetables, greens and fruits are tossed in a creamy mayonnaise dressing, you know that it’s ought to be refreshingly delicious. Serves 1. There's nothing like a warm pie with a golden crust and a delicious filling to make you feel good. Dig into assorted garden fresh vegetables loaded with cheese sauce and is gratinated with mozzarella and Parmesan. Served with garlic bread, this pie is more than just filling. Remember the ‘pineapple in pizza’ debate? Well, we don’t really want to take sides, but our Caribbean Roast Chicken Salad can never do without this tropical beauty! Peri-peri infused chicken breast, grilled, diced and tossed with pineapple, peppers, lettuce and pickled red-paprika in a sweet honey-mayo-mustard dressing will have you singing happy happy songs. Serves 1. A host of influences from cuisines including Berber, Arab and Mediterranean – have defined the diversity of Moroccan cuisine. The tangy Middle Eastern purple-spice Sumac turns this simple salad into something quite remarkable. Quinoa, sprouts and assorted veggies are tossed with Sumac and garnished with olives and orange, accompanied by a garlicy mayo-yogurt dressing that isn’t just wholesome but quite refreshing too! Serves 1. You are about to experience an intense rush of flavours and textures, all in one SALAD! Cobb salads might be an American mainstay, but we’ve created an enviable cousin. Crispy chicken-bacon, lettuce, apples and shredded spiced-chicken tossed with a curry-powder-flavored mayo dressing makes this salad quite a ‘flavourable’ indulgence. Serves 1. How do you make salads delicious and interesting? Toss in a few nuggets of spiced, grilled ‘anything’ and, voila, you have something delicious and interesting! Diced, pan-seared lemon and herb-infused paneer is tossed with assorted veggies, millet, pomegranate pearls and pickled red-paprika before being served with a tangy vinaigrette – that’s an explosion of flavours, right there! Serves 1. Julius Caesar has nothing to do with this salad, really. Back in 1924, an Italian-American restaurateur called Caesar Cardin tossed up a salad with the ingredients in hand and served it at the restaurant he had set up in Tijuana, Mexico. The salad was a hit! Here’s our spin on the classic – lettuce, cucumber and sundried tomatoes tossed in a yummy yogurt-mayo dressing, served with the star of the salad: sliced, rosemary-infused, roasted chicken breast. Serves 1. Freshmenu offers you Chicken, Arugula, Wood-Fire Seasoning, Broccoli, Cauliflower, Mushroom, Cherry Tomato, Olive, Cheese Sauce, Jalapeño. Limited period, Hurry Up!!! Ginger. The condiment that makes or breaks the deal. It might be the most beneficial to anyone, health wise – but it does have its equal number of haters and lovers. Dig into this interesting take on a Chinese fried-rice loaded with ginger juliennes and capsicum. Butter and garlic are two condiments that were meant to marry. And when you allow them to combine in an Asian-spice inspired dish, you know you’ve hit a jackpot. This delicious veggie fried-rice accompanies practically anything under the sun and will tantalise the taste buds of anyone who likes subtle flavours. The Thai are known for dishes that capture the concepts of yin and yang slightly better than where the concept originated from. Inspired by Thai flavours, this fried rice tossed with fresh basil is all about freshness accentuated with fresh aromas. Served with a portion of chilli-garlic veggies. Serves 1. Nobody does fried rice better than the Chinese! And if it’s a recipe from the firehouse of China – Sichuan, you know it’s going to be good. Add some juicy strips of delicious chicken and you’ve taken the recipe to a whole new level of yummy. Served with a portion of chilli-garlic veggies. Serves 1. Native to the Americas, black bean took the Orient by storm when it was first introduced. Assorted veggies and paneer in a tarty black-bean sauce served on a bed of spicy veggie fried rice enliven your palate with the complex interplay if flavours. Serves 1. Banish all your inhibitions about Japanese cuisine being uninteresting or boring. If it wasn’t for the Shoguns of the Tokugawa family, the fascinating cooking method that teriyaki is – which yields stunning dark, caramelized meat – would have been lost to time. Sliced, grilled chicken steak on a bed of veggie chow is topped with a hot and sweet teriyaki sauce. Serves 1.
hough the term ‘hoisin’ refers to seafood in Cantonese and Mandarin, the sauce, surprisingly, contains none. Dark in colour, rich in flavour and bathed in salt, hoisin, like barbeque sauce, is often used to bulk up the flavours of any delicacy from the Orient. Chicken and assorted veggies stir-fried and simmered in the stellar hoisin-flavoured sauce is served with the good ol’ chow – this is a sweet and spicy East-Asian delight that you do not want to miss! Serves 1. Though the term ‘hoisin’ refers to seafood in Cantonese and Mandarin, the sauce, surprisingly, contains none. Dark in colour, rich in flavour and bathed in salt, hoisin, like barbeque sauce, is often used to bulk up the flavours of any delicacy from the Orient. Diced pieces of boneless chicken is soaked in a savory marinade that consists of red chilli, kaffir lime, and pepper. These meaty morsels are then coated with sesame seeds and deep fried till their crispy and golden. Served with a creamy garlicky dip on the side. The perfect appetizer to any meal. Hurry Up!!! Nothing banishes hunger pangs like a plate of delicious dumplings. Delicious Chicken dumplings are steamed and served with a spicy Schezwan sauce and a savoury peanut dip. Contains 6 pieces. Serves 2. Tender, bite-sized pieces of chicken frankfurters are given a twist of spanish flavour! Sausages and bright peppers are stir-fried with smoked paprika and tossed in a tangy tomato sauce – a dish that is nothing short of heavenly! Serves 2. Hurry Up!!! Mexican street-eats are some of the best in the world and this cheesy appetizer is a layered assortment of crunchy veggies, carefully tucked away in a tortilla with beans and some tangy jalapeno. Served with a salsa, the perfect accompaniment. Serves 2. Hurry Up!!! The French and the Italians are still in a tug-of-war when it comes to garlic bread. While the origin of the clever dish is fought over, the rest of the world seems to have adopted variations of the savoury snack and here's our version with tangy jalapenos, olives, chili peppers and oozy mozzarella cheese. Serves 2. Hurry Up!!! A combination of carefully selected whole spices, roasted and ground, makes the essential 'masala' and no one knows masalas better than Indians. Diced paneer sautéed with onions and peppers in a buttery, tangy masala-gravy is finished off with a generous amount of grated paneer and curry leaves – drooling, are we? Serves 2. A fresh and unaged cheese that Indians love experimenting with, is our iconic, yet humble, paneer. This peppery, spicy, and tangy chilli-infused dish is popular on our list of starters and appetizers. Whether eaten as a side-dish or an appetizer by itself, this Indo-Chinese dish packs a mean punch when it comes to flavour and taste! Serves 2. Hurry Up!!! Tabasco, ironically, is an American invention with a very Mexican name. People were first introduced to the sauce in the year 1868 when it was sold in tiny used-cologne bottles and the style still remains consistent! Tabasco marinated tender chicken breasts are grilled to perfection and served alongside a taste-bud tingling roasted red pepper sauce with a tangy pineapple rice. Hurry Up!!! A herbed, grilled chicken-steak, served on a bed of fragrant basil and pepper flavoured rice with sautéed veggies and a luscious, woody mesquite steakhouse sauce. The American favourite, now just a click away. Hurry Up!!! Fresh Methi makes this dish completely nutritious and very tasty too. Garlic flavoured cottage cheese is cooked in our signature creamy yoghurt based gravy and served on a bed of aromatic coriander jeera pulao and fresh fenugreek. Enjoy every spoonful! Hurry Up!!! Fresh Methi makes this dish completely nutritious and very tasty too. Garlic flavoured cottage cheese is cooked in our signature creamy yogurt based gravy and served with soft laccha parathas. Enjoy every bite!! Hurry Up!!! Pesto originates from the Genoese word pesta, which means to pound or to crush. This refers to the way in which the authentic sauce is prepared, with a mortar and pestle. Our pesto-based penne dish features baby corn, zucchini and black olives tossed in refreshing basil pesto and rich parmesan cheese with a side of garlic bread. Serves 1. Hurry Up!! Get 10% Off Alfredo di Lelio wished to cheer his wife up by serving her a tempting yet wholesome meal. He created a luscious cheese sauce to toss pasta in and the Alfredo Sauce was born. Hurry Up!!! Get 10% Off Tempers rise. Arms flail. Cuss words spew. Spoons fly across the kitchen. An apologetic embrace follows. Arrabbiata in Italian means ‘angry’, and if the piquant sauce hasn’t left you teary-eyed only to be made up by the sweetness of the tomatoes, then the sauce hasn’t been cooked right. Hurry Up!!! Now New User will get This burrito bowl is not only a celebration of Mexican flavours, but also of flavours from around the world. Check this out! Paneer tossed in a fiery peri-peri sauce and curried veggie-bean stew is served on a bed of roasted-garlic tomato-basil rice and topped with sweet and sour salsa and gyro garlic sour-cream. Hurry Up!!! A rich and creamy cheesecake you can swoon over. This is baked with smooth milk chocolate butterfingers and a crunchy cookie crumble for an over the top experience. Hurry Up!!! What makes something sweeter? A pinch of salt, of course! Indulge your sweet tooth as you bite into this glorious and gooey brownie-cookie enriched with a sprinkle of sea-salt crystals, adding to an already interesting flavor-profile! Hurry Up!!! This 'cake in a jar' is truly a delectable dessert. It is carefully designed with layers of dark chocolate, crunchy nuts and dry fruit crumble. A melody of dark chocolate sprinkle is added to make it all the more indulgent. This dessert has won the hearts of many and is a stellar dish. Hurry Up!!! A classic cheesecake for dessert lovers, this is lovingly made with sweet, smooth cream cheese and layers of dark red velvet. We assure you, you will be addicted to it from the first bite. Hurry Up!!! An India-inspired fusion dessert which is perfect for festive occasions. Taste the goodness of pure saffron infused in a French white chocolate mousse and layered over a bed of Afghani pistachio crumble. Topped with a traditional favourite Gulab Jamun and saffron strands, this dessert is sure to impress you. An old-fashioned barley broth thick with vegetables cooked in signature FreshMenu style. Barley and chicken blend together in this rich chicken stock along with carrots, ginger and coriander. Served with oven roasted butter garlic croutons, you'll enjoy every sip of it! Hurry Up!! Pasta tossed in fresh cream and cheese sauce with broccoli florets, bite-size zucchini and red pepper strips sprinkled with grated Parmesan cheese. Served with soft garlic bread to make this a complete meal. Note- Broccoli may not be served due to seasonality issues. Hurry Up!!! For those who prefer fine dining. Feast on pasta that's made with fresh ingredients like baby corn, zucchini, black olives and penne. These are tossed in refreshing basil pesto and rich parmesan cheese. Served with a garlic bread, this is a true Italian delicacy. Hurry Up!!! Experience your taste buds fill up with the delicious flavours of this sumptuous appetizer. Chicken sausages are cut with precision, tempered with mustard curry leaves and doused in fiery black pepper. Try it now to relish every bit of this great dish. Hurry Up!!! Straight from the woks of Shanghai comes this delicious Oriental dish. Light noodles are tossed with bok choy, cabbage and beans in a rich peanut butter and umami soy dressing with a dash of Chinese rice wine vinegar and mushroom sauce. Garnished with spring onions. Hurry Up!!! The popular Indian-Chinese stir fry noodles is back with a bang.This is loaded with fresh vegetables and Hakka noodles tossed in Chilli Garlic Sauce, making every mouthful magical. Hurry Up!! Indonesian stir-fried noodles, also known as 'Mie Goreng' is a very popular dish in Southeast Asia. Today we bring you stir-fried noodles in an authentic sauce with bok choy, Chinese cabbage, browned onion, cashew, coriander and garlic. Go ahead and indulge in this spicy Indonesian delicacy. Hurry Up!!! Gai Pad Krapow literally translates to Fried Holy Basil Chicken and is a great Thai delicacy. It comes with chicken mince and chicken leg boneless, flavored with fresh basil, red chili and tossed in oyster sauce. Hurry Up!!! When we think of Punjabi food words like tandoori, dhabas, and delicious are what come to mind. Punjabi cuisine, is rustic, bold, and full of smoky flavors. The villages of the state of Punjab still stick to traditional methods of cooking, using wood-fire or masonry ovens. Hurry Up!!! Smokey on the outside, tender and juicy on the inside, this chicken steak is all about the sage marination. Sage, the herb that attained the heavenly status due to its healing power along with garlic and peppered herb rub are used to marinate whole chicken breast. Hurry Up!!! A Mongolian hot favorite, it's sure to tantalize you! It comes with fresh veggies, a warm boiled egg, scooping out – with it – some spicy curry, all wrapped in a piece of paratha! #FEELS Relive the delight and treat yourself to our onion- and tomato-based spicy boiled-egg-curry and spicy Mongolian sauce. Layered together in one wholesome bowl and served.Hurry Up!!! Smack the taste at Freshmenu Get Free Dessert worth Rs 90 on Orders above 400.Valid for all users.Valid on Weekends(Mon-Thu) Only.Use the cited Frshhmenu Pizza promo code at checkout to grab the discount.Valid only on Friday-Sunday.The offer exists for a very limited time. Grab instantly!! Freshmenu with 20% off on pizza.Valid for all users.Valid on Pizzas only.Max discount limited to Rs 100.Use the cited FrshhmenuPizza promo code at checkout to grab the discount.Valid only on Mon-Thu.The offer exists for a very limited time. Grab instantly!! Fresh menu GGet 25% Off on Main Course for new customers.Valid for all users.Use the cited Frshhmenu Max Discount - Rs 100.checkout to grab the discount.Maximum cashback limited to Rs 100.The offer exists for a very limited time. Grab instantly!! Smack the taste of Fresh menu Get 50% cashback for new customers.Valid for all users.Use the cited Frshhmenu Pizza promo code at checkout to grab the discount.Maximum cashback limited to Rs 100.The offer exists for a very limited time. Grab instantly!! A Mongolian hot favourite, it's sure to tantalize you! It comes with fresh veggies, crunchy peppers, peanuts and mushrooms in a sweet and spicy Mongolian sauce. Layered together in one wholesome bowl and served with chilli bean rice.Hurry Up!!! If it's Japanese, it's got to be Teriyaki. This fine delicacy comes with a warm bowl of fried rice layered with tangy, sweet Teriyaki sauce. Cooked with tender chicken pieces and plenty of greens including leeks, onions and crunchy bell peppers. Hurry Up!!! A blend of bold and bright flavors: sweet, salty, bitter, and spicy — a combination of contrasts that is not only admired, but craved.Enjoy our Vietnamese style grilled chicken spiced with zesty lemon grass. Hurry Up, Order Now!!! FreshMenu Offers you This cheesy appetizer consists of an assortment of crunchy veggies like carrots, capsicum, and onions carefully tucked away in a tortilla with beans and jalapeno tossed into the mix. A tangy and tasty salsa sauce serves as the perfect dip to this exotic street-eat. Hurry Up!!! FreshMenu Offers you This creamy, earthy soup is made with shredded chicken, fresh shiitake and button mushrooms. The mix is slow cooked with crunchy leeks and garlic. Garnished with cream, butter and fresh thyme, this makes a soulful meal. Hurry Up!!! FreshMenu Offers you A creamy roasted onion soup with hearty chunks of chicken is a soulful meal indeed. Today we bring you oven roasted onions, smoked chicken ham chunks, and leeks simmered in rich and creamy chicken stock. Hurry Up!!! FreshMenu Offers you Five Spice Chicken Wings Bowl at freshmenu, Saucy, crunchy and lip-smackingly good chicken wings are about a stone's throw away. The cult classic and a favourite bar-snack has found a comfortable spot on our menu! The five-spice-flavored sauce glazes every inch of the wings! Served with a spicy egg fried-rice our delish chicken wing bowl is comfort food at its best.Limited period offer. Hurry Up!!! FreshMenu Offers you Pizza Mac 'N' Cheese, The goodness of pizza packed in a plate of mac 'n' cheese. Bringing an innovative twist to this classic dish packed with cheesy tomato sauce, fresh peppers and zucchini.Limited period offer. Hurry Up!!! FreshMenu Offers you Christmas Special Plum Cake, On the eve of Christmas, a rich porridge made with oats, dried fruits, spices, honey and sometimes even meat, was consumed to line the stomach before the big feast. Over time, more ingredients made their way in and out of the porridge, and by the 16th century flour, eggs and butter were used regularly. Hurry Up!!! FreshMenu Offers you Sesame Chicken Bites, Crispy on the outside and succulent on the inside! Feast on boneless chicken marinated in flavorful soy ginger and sesame. Spiked with smoked paprika, it is deep fried to a warm golden brown. Crunchy, tender and tasty, this chicken appetizer is enhanced with a chilli-plum dipping sauce. Hurry Up!!! FreshMenu Offers you Rajma Chawal at Decent Price, Enjoy this delicious dish that has remained a favorite across all borders of India. A popular North Indian meal that makes up a perfect comforting combination. This is nutritious, homely and a filling option for both lunch and dinner. FreshMenu Offers you 'Hot Garlic Chicken with Szechwan Fried Rice' with discount upto 11% Off, This is tossed with fresh peppers, onions and served on a bed of Szechwan fried rice to tease your palate. A wholesome meal that serves three, dig right in! Hurry Up!!! FreshMenu Offers you Bangkok Veg Curry Combo, A Thai favourite loaded with the authentic taste of South-East Asia. Carefully crafted with the best of Thai red curry and perfectly flavoured with broccoli, zucchini, coconut milk, galangal, kaffir lime, lemongrass, basil, button mushroom and shiitake mushroom. Hurry Up!!! FreshMenu Offers you Oriental Dragon Veggies 'N' Hakka Noodles with decent price. Explore a full range of authentic Asian flavors with this dish. Dig into fresh broccoli, baby corn, bok choy, mushrooms and Chinese cabbage tossed in a spicy chili oyster sauce served with the classic Hakka noodles. Hurry Up!!! FreshMenu Offers you It is high in dietary fibre, protein and made with the most nutrient-rich of all lettuce types - the romaine lettuce. Layered with cucumbers, sun-dried tomatoes and smoked chicken, it is tossed in FreshMenu's signature Caesar dressing and finished with flavourful Parmesan cheese. Hurry Up!!! FreshMenu Offers you Moroccan Spiced Chicken Bean Soup with decent price, Packed full of flavor, this warm and hearty slow cooked chicken bean soup will transport you to Morocco. What makes this Moroccan soup mouthwatering? It's the medley of vegetables in a fragrant broth infused with harissa spices and chunks of roasted chicken. Hurry Up!!! FreshMenu Offers you Spicy Chicken Broth with Nappa Cabbage, Stir-fried shredded chicken, carrots, celery, shiitake mushrooms and crunchy napa cabbage, simmered in a chicken broth with sliced red chillies come together in harmony in this warm bowl of joy. Hurry Up!!! FreshMenu Offers you A family favourite, this hearty chicken biryani meal is perfect for a comforting weeknight supper. Enjoy this traditional Hyderabadi-style biryani that's loaded with chunks of boneless chicken and flavourful spices mixed with aromatic long grain basmati rice. FreshMenu Offers you Hoisin Chicken with Egg Fried Rice, Turn your weekend-meal plans into an East-Asian-affair with our double delight! A delicate balance of oriental flavours come through when chicken, marinated in Hoisin sauce, is tossed with crunchy peppers and onions and simmered in Hoisin-flavoured chicken stock.Hurry Up!!! FreshMenu Offers you Veggie Thai Red Curry Family Meal, Experience flavours of the exotic Thai Red Curry steeped with fresh herbs and spices. This meal comes with a delicious balance of savoury Thai red curry in the flavours of red chilli, earthy mushrooms, lemongrass, galangal and creamy coconut milk with fresh basil steamed rice. Hurry Up!!! FreshMenu Offers you Here's a famous street food delicacy originating from the Sichuan Province in southwestern China. Dig into soft noodles that are loaded with tasty chicken mince tossed with crunchy peppers, bok choy and cooked in Sichuan chili soy. Hurry Up!!! FreshMenu Offers you wide range of menu starting at just Rs.99 only. Try something new, Say yes to Yummy food. Offer Valid till Stock ends. No Coupon Code is required to avail the offer. This is a Limited Period Offer. So Hurry and Order Now! Get Rs 99 on all your favorite Meals Bowl @ FreshMenu. No Minimum order.Cheaper then a cappuccino.No Coupon Code is required to avail the offer. This is a Limited Period Offer. So Hurry and Order Now! FreshMenu Offers you Korean Sesame Chicken Bowl, Get discount upto 34% off, This simple sesame delight will take your taste buds on a journey to discover Pan- Asian flavours at its best. Succulent chicken chunks are fried to perfection with the authentic sriracha sauce. Hurry Up!!! FreshMenu Offers you American Lo Mein Bowl, Get discount upto 34% off, There's just something comforting about sitting down, enjoying a big bowl of noodles and this American version of the Chinese noodle is all the more delightful.It comes with fresh veggies mixed with garlic, celery, carrot, mushroom, broccoli, cabbage and adds juliennes of ginger, that's tossed in noodles with teriyaki and soya sauce. Hurry Up!!! FreshMenu Offers you Pan-fried Chilli Fish at decent price, Another hot favourite is back on the menu! Pan-fried basa fish fillets are marinated in spicy burnt chilli garlic and finished with a light drizzle of hoisin chilli sauce. FreshMenu Offers you Chicken Lemon Coriander Soup, An excellent refreshing soup perfect for the season. Comes with brunoised veggies like carrot, cabbage, and strips of boneless chicken leg in lemon and coriander broth. Hurry Up!!! FreshMenu Offers you Hunan Chicken Wonton Soup. The Chinese own soup! Nobody does a soup as well as they do. This drool-inducing wonton soup is definitely high on the list of soups that you’d want to dig into. A spicy chicken broth loaded with shiitake mushrooms, bok choy and chicken stuffed wontons. Hurry Up!!! Freshmenu bring two favourites – Shanghai Rice and Schezwan Sauce! Noodles, rice, carrots and bell peppers are tossed with chilli paste and soy sauce and served with the oh-so-spicy Sichuan-peppercorn-flavoured paneer, a veggie sauce and a bowl of crispy fried-noodles! Hurry Up!!! FreshMenu Offers you Doner Chicken Rice Bowl, Satiate your hunger with this hearty doner rice bowl. We've introduced a popular and delicious culinary creation from the Middle East that you will surely enjoy! Chicken is marinated in hung curd, authentic spices, a tangy lemony sumac and cooked to perfection. Served with a savoury rice pilaf. Hurry Up!!! FreshMenu Offers you Sambal is a fiery hot sauce from Indonesia made from spicy chili peppers, garlic, shallots and tangy tomato freshly ground using a mortar (oelak). Treat your taste buds to chunks of boneless chicken cooked in this sambal oelak, topped with pan-fried eggs.This is a Limited period offer. Order Now!! The spicy notes of chilli and the fruity tones of guava makes this drink a refreshing experience. This beverage has a well-balanced peppy flavour because of the innovative combination of its ingredients. Go ahead and pair it up with our range of appetizers, mains and salads for an ultimate meal combination. This is a Limited period offer. Order Now!! A creamy roasted garlic soup recipe with hearty chunks of chicken is a soulful meal indeed. Today, we bring you oven roasted garlic, diced chicken and leeks simmered in rich and creamy chicken stock. A host of great aromatic flavours for you to enjoy at FreshMenu. This is a Limited period offer. Order Now!! Jaipuri Kofta 'N' Laccha Paratha at FreshMenu for Rs.180 Only. Experience royal flavors with this famous Jaipuri delicacy. Feast on chili cheese stuffed paneer koftas dipped in a spicy and creamy onion tomato gravy. This is a Limited period offer. Order Now!! Penne Arrabbiata at FreshMenu for Rs.99 only. Our chunky à la Italian sauce turns the everyday pasta into something special. This dish comes with perfectly cooked penne pasta tossed in the Arrabbiata sauce made with garlic, tomatoes and red chili peppers finished with olive oil. Go ahead and dig right in. This is a Limited period offer. Order Now!! Smack the taste at Freshmenu, Hot 'n' spicy! Indulge in strips of pulled chicken with egg, carrots, cabbage and peppers - tossed in an oyster and soy sauce. Served with hakka noodles and garnished with spring onions, this dish is pure delight! This is a Limited period offer. Order Now!! Smack the taste at Freshmenu Get Free Dessert worth Rs 90 on Orders above 500.Valid for all users.Valid on Weekends(Fri-Sun) Only.Use the cited Frshhmenu Pizza promo code at checkout to grab the discount.Valid only on Friday-Sunday.The offer exists for a very limited time. Grab instantly!! Get Flat 11% Off on Chilli Paneer with Veggie Fried Rice @ FreshMenu.No Minimum order.No Coupon Code is required to avail the offer.This is a Limited Period Offer. So Hurry and Order Now! Get Flat 18% Off on Gai Pad Krapow @ FreshMenu.No Minimum order.It comes with chicken mince and chicken leg boneless, flavored with fresh basil, red chili and tossed in oyster sauce.No Coupon Code is required to avail the offer.This is a Limited Period Offer. So Hurry and Order Now! Get Rs 139 on all your favorite Lahori Masala Paneer Bowl @ FreshMenu.No Minimum order.Paneer marinated in Lahori kadai masala and cooked in a rich velvety onion-tomato gravy with cashews, pumpkin seeds, and a ghee-jeera tempering.No Coupon Code is required to avail the offer.Only For New user offer: Rs. 139. This is a Limited Period Offer. So Hurry and Order Now! Get Flat 18% Off on Hamburger Chicken Bowl @ FreshMenu.No Minimum order.Indulge in this chicken bowl loaded with a rosemary chicken mince-loaded patty in a roast gravy on a chicken-bacon tossed herb rice.No Coupon Code is required to avail the offer.Only For New user offer: Rs. 139. This is a Limited Period Offer. So Hurry and Order Now! Get Rs 139 on all your favorite Falafel Burrito Bowl @ FreshMenu.No Minimum order.Pack a bowl of three-pepper rice with crunchy falafels and top it off with some spicy peri-peri cream sauce and some gyro garlic sour cream.No Coupon Code is required to avail the offer.Only For New user offer: Rs. 139. This is a Limited Period Offer. So Hurry and Order Now! Get Flat 10% Off On Egg Curry with Laccha Paratha @ FreshMenu.No Minimum order.Dig into aromatic home-style egg curry with 2 crispy grilled Parathas.No Coupon Code is required to avail the offer. This is a Limited Period Offer. So Hurry and Order Now! Get Flat 30% Off On Guava Chilli (Pack Of 2) @ FreshMenu.No Minimum order.No Coupon Code is required to avail the offer. 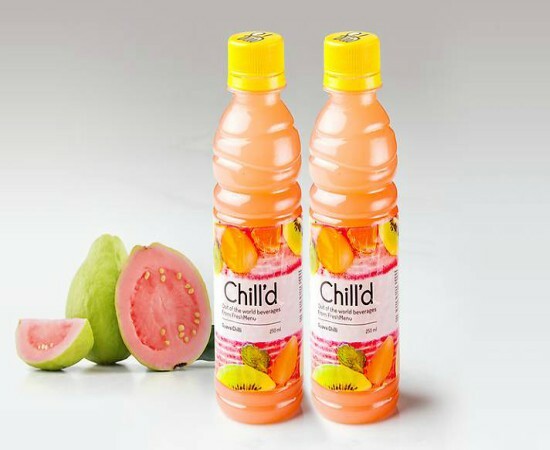 This beverage has a well-balanced peppy flavor because of the innovative combination of its ingredients.Comes in a pack of two, each bottle contains 250 ml.This is a Limited Period Offer. So Hurry and Order Now! 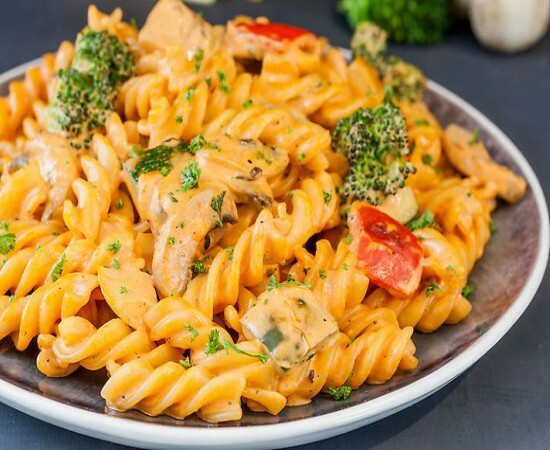 Get Rs 139 on all your favorite Fusilli with Creamy Pepper Sauce @ FreshMenu.No Minimum order.No Coupon Code is required to avail the offer.Only For New user offer: Rs. 139. This is a Limited Period Offer. So Hurry and Order Now! Get Up to 20% off on all your favorite Chicken Dishes @ FreshMenu.No Minimum order.No Coupon Code is required to avail the offer. This is a Limited Period Offer. So Hurry and Order Now! Smack the taste at Freshmenu Dishes starts @RS 139.Valid Only for new users.No Coupon code is required to avail this offer.Simply visit FreshMenu and order whatever you desire. This is a Limited period offer. Order Now!! Smack the taste at Freshmenu Get Free Dessert worth Rs 90 on Orders above 400.Valid for all users.Valid on Weekdays(Mon-Thu) Only.Use the cited FrshhmenuPizza promo code at checkout to grab the discount.Valid only on Mon-Thursday.The offer exists for a very limited time. Grab instantly!! Smack the taste at Freshmenu with 20% off on pizza.Valid for all users.Valid on Pizzas only.Max discount limited to Rs 100.Use the cited FrshhmenuPizza promo code at checkout to grab the discount.Valid only on Mon-Thu.The offer exists for a very limited time. Grab instantly!! Now get a huge saving on food order from Fresh menu website/mobile app. Get Rs 30 off on Salads.Valid For all Customer Use above mentioned FreshMenu coupon code to avail this offer.Valid only on Salads. Order now!! Now get a huge saving on food order from Fresh menu website/mobile app. Get 25% off on new user.Valid only New Customer on 1st order..Max discount up to Rs.100. Use above mentioned FreshMenu coupon code to avail this offer.· Valid only on Main Course Category products. Order now!! Now get a huge saving on food order from Fresh menu website/mobile app. Get 50% off on new user.Valid only New Customer on 1st order..Max discount up to Rs.100. Use above mentioned FreshMenu coupon code to avail this offer. Order now! !